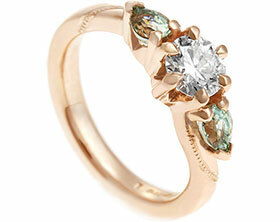 Trish's diamond and tsavorite Celtic inspired engagement ring. 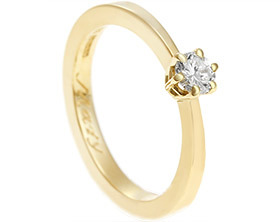 Andy wanted to surprise Trish with a proposal and wanted to design something that would suit her. 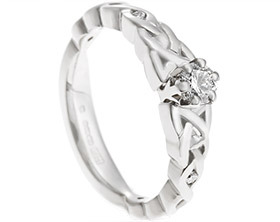 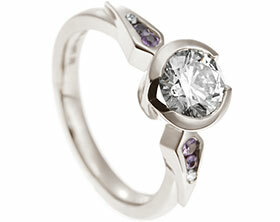 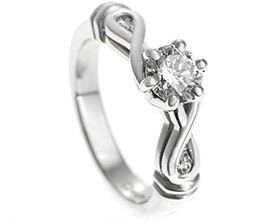 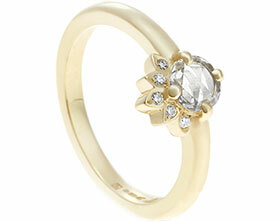 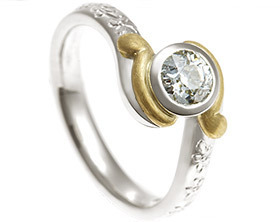 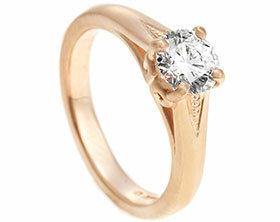 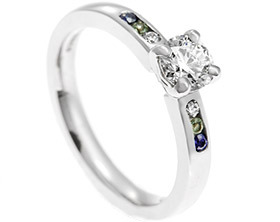 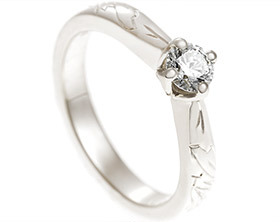 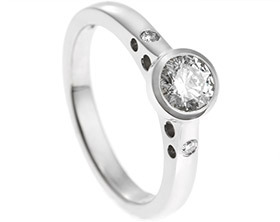 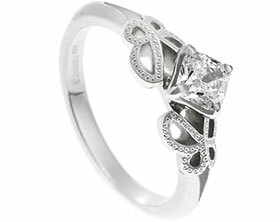 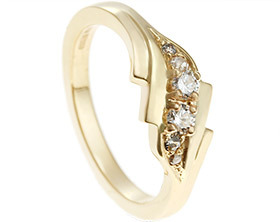 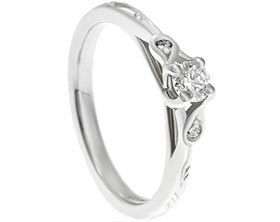 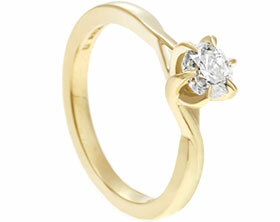 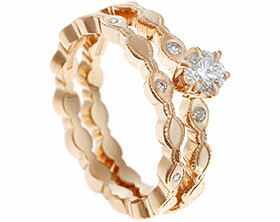 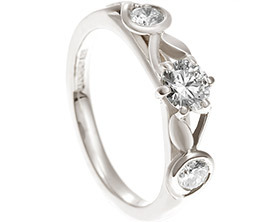 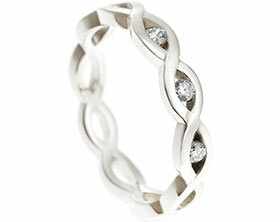 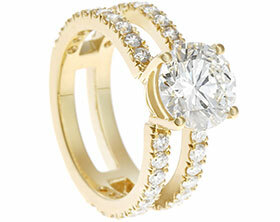 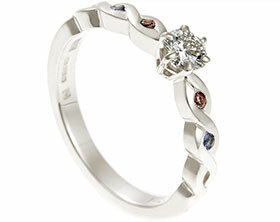 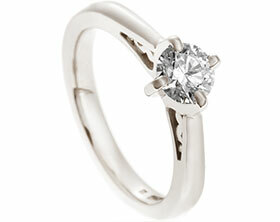 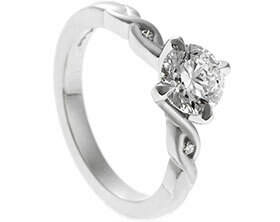 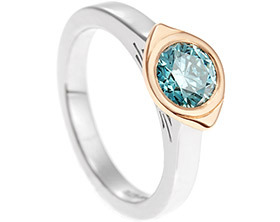 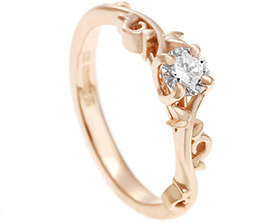 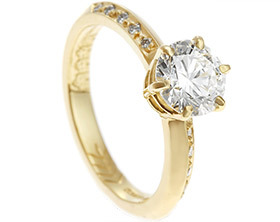 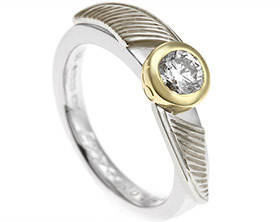 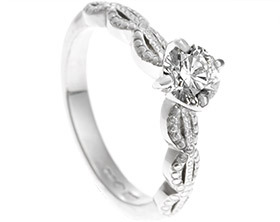 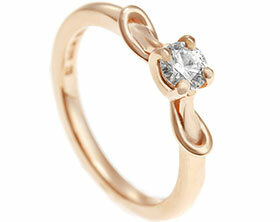 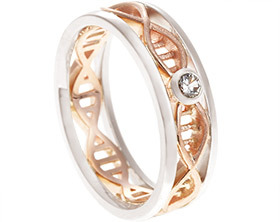 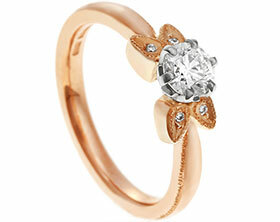 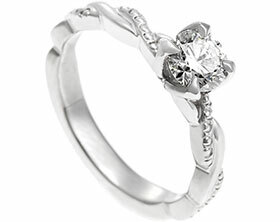 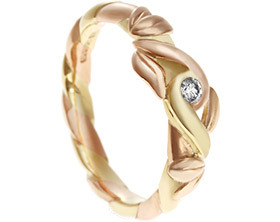 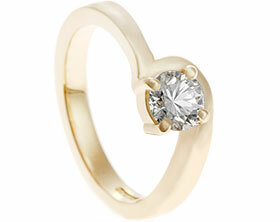 He knew she loved Celtic influenced design and wanted to bring that style into the engagement ring. 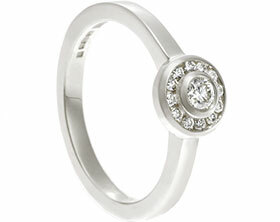 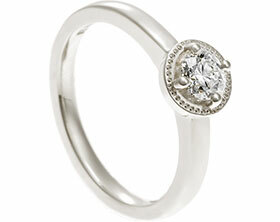 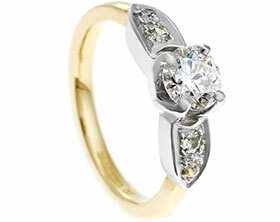 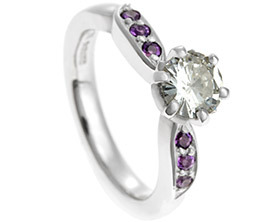 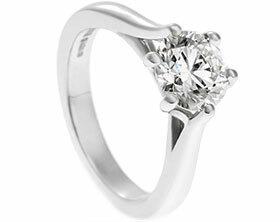 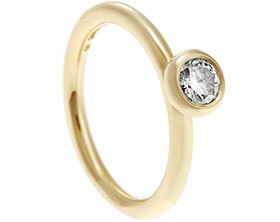 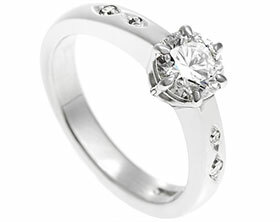 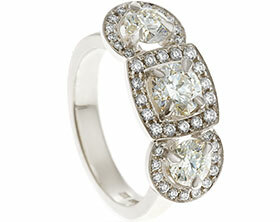 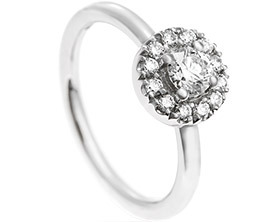 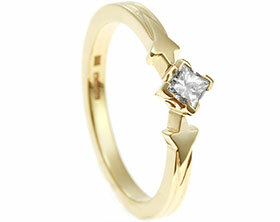 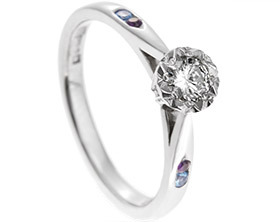 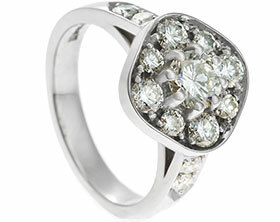 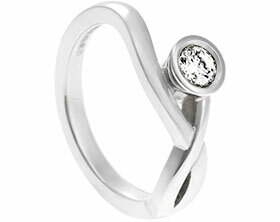 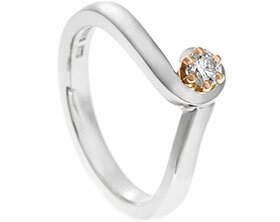 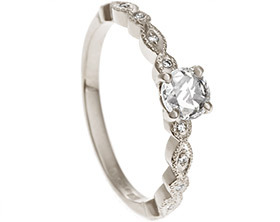 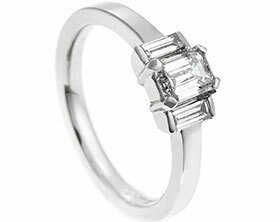 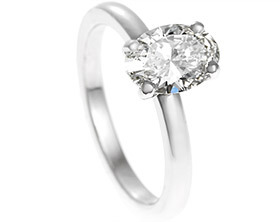 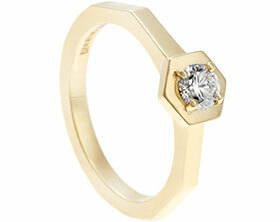 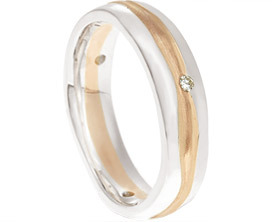 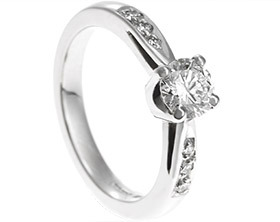 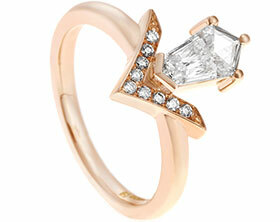 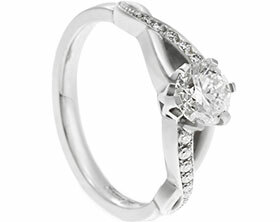 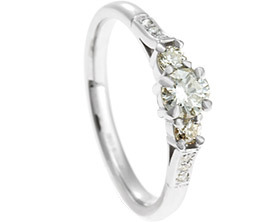 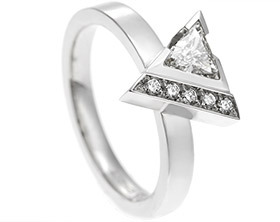 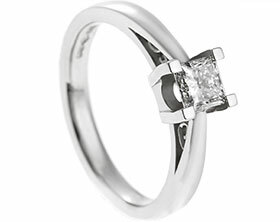 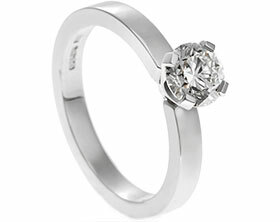 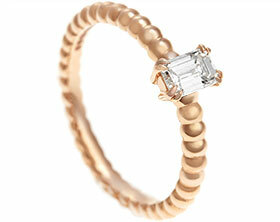 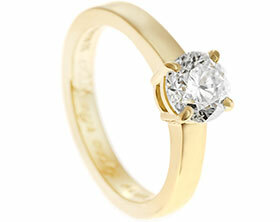 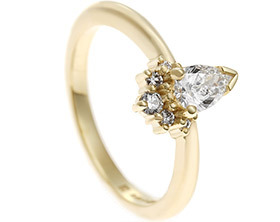 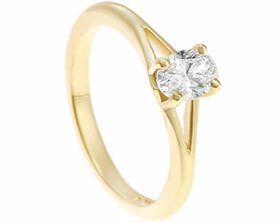 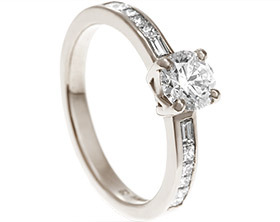 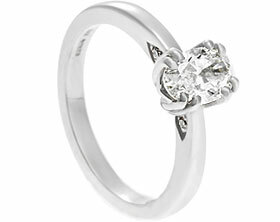 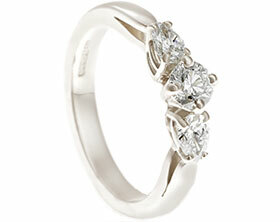 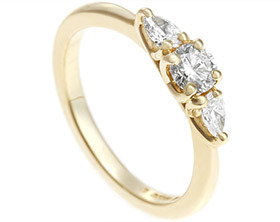 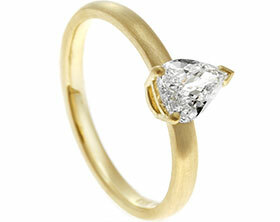 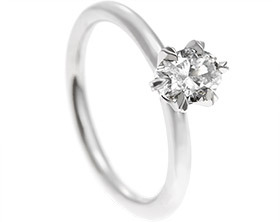 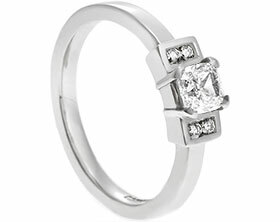 Andy Fell in love with a princess cut diamond for the central stone and palladium for the metal. 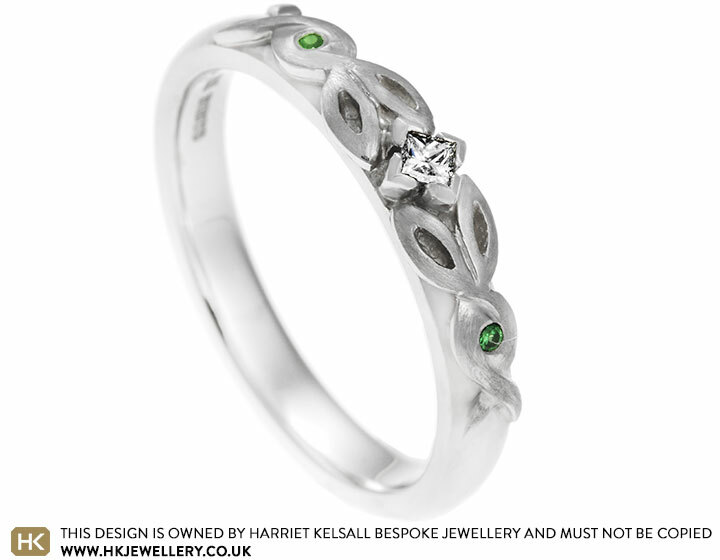 To make the satinised celtic overlay detailing stand out he choose to have the pattern satinised along with having a round tsavorite set on each shoulder.